At PlayN Wisconsin we service the whole state of Wisconsin from Kenosha, Racine, Greenfield, Muskego, Milwaukee, Hartland, Brookfield, Delafield, Mequon, Grafton, West Bend, Fond Du Lac, Appleton, Green Bay, Wausau, Stevens Point, Wisconsin Dells, Baraboo, Sun Prairie, Madison, Fitchburg, Verona, Mount Horeb, Middleton, Dodgeville, Janesville, Platteville, La Crosse & Eau Claire and to all points in between: We are proud to be Wisconsin’s source for family focused fun. KEEPING YOUR OUTDOOR PRODUCTS WORKING AND LOOKING THEIR BEST ! Due to the large selection of products we carry at PlayN Wisconsin and ensuring our customers receive the most up-to-date and accurate warranty information, we encourage our customers to email us at info@playnwisconsin.com. 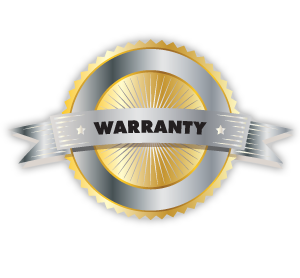 Please provide your name, address, and best method to reach you and we will not only provide the warranty information; but then, assist in the warranty process. Moving and want to bring along your swing set, basketball hoop, or trampoline along too? Who can make it easy for you? PlayN Wisconsin can! We can move your swing set and have it relocated all in the same day. We move all types of play systems such as Woodplay, ChildLife, Rainbow Play Systems, Cedarworks and Backyard Adventures and Play Nation to name a few. We also will fully dismantle sets in prepration for your moving company or reassemble if you just moved in. Simply email us a photo of the product you would like relocated and the address where it will be moving to and from and we will be happy to provide you a quote. Is the play system in the backyard looking a little weathered? Looking to freshen up your play set? PlayN Wisconsin can bring it back to that new look for you. All wooden swing sets left unsealed outside eventually succumb to the elements. So protect your investment by keeping it stained and sealed. Even if that gray look has set in, it’s not too late. To bring it back to new, we’ll powerwash the surface to remove the gray and create a clean surface and then apply a fresh coat of stain/sealant. Send us a photo of your swing set and we’ll be happy to provide you a quote. We stain all brands of play systems such as Woodplay, ChildLife, Rainbow Play Systems, Cedarworks, Backyard Adventures & Play Nation to name a few. Keeping kids playing safe is our top priority. At PlayN Wisconsin we offer you Preventative Maintenance Packages to have peace of mind when it comes to safe play. On an annual or bi-annual basis we will go over the play set and tighten any hardware that has loosened, grease and lubricate moving components, and provide you with recommendations on items that question the safety and integrity of your wooden play system. We can help keep your kids safe no matter the brand of swing set you have from Woodplay, ChildLife, Rainbow Play Systems, Cedarworks, Backyard Adventures & Play Nation to name a few. Just email us a photo of your swing set and we will be happy to offer you a quote. After the winter months and warm weather is approaching, families are beginning to transition outside the home to play on their favorite outdoor products. At this time, it is beneficial to perform the following checklists if you own a wooden swing set, trampoline, or basketball system; both for safety purposes and protecting your investment. To protect your investment and be proactive, we recommend you have the wood sealed with a good quality OIL-BASED sealant within its first 2 months outside. By being proactive and sealing it soon after set up, you may be able to skip a year or two before having to reapply the sealant. We recommend and sell Super Deck Transparent Sealant. This product penetrates deep into the wood and closes the pores of the wood thus not allowing water in to do damage. This also slows down the natural checking and cracking process. With your proactive actions of sealing, you will enhance the factory stain color before it starts to wear. Your Springfree Trampoline is designed using the highest quality materials, resistant to outdoor weather conditions. However, all products will incur general wear and tear, so it’s important to inspect your trampoline from time to time. Replacing any required parts quickly will ensure the longest life span for your trampoline. It is highly unlikely under normal use that a Springfree FlexiRod™ will ever break or delaminate. Should you notice cracking or flaking on your trampoline rods, rest assured this is most likely sun damage caused to the “sleeve” which is a protective cover inserted over each fiberglass rod during the manufacturing process. While our sleeves are UV treated, over time and depending on the amount of UV exposure they’ve had, they may deteriorate at an accelerated rate. Clean backboard using only a 100% Cotton soft cloth and glass cleaner. Clean glass as you would clean household windows. Strong cleansers will damage backboard and void warranty. Look over rim for torn back plates, damaged springs, bent rings, damaged eye bolts, and torn or distorted rim supports result from hanging on the rim. To ensure ease of operation, lubricate all pivot points at least every 6 months or as needed with a good lubricant such as WD-40. Inspect your pole periodically, if rust should appear, remove loose paint, sand lightly, primer and paint with exterior flat matte finish enamel paint. If this checklist seems daunting or you just don’t have the time or the proper tools necessary, our service department is happy to complete the tasks for you. Not only are you assured the tasks get completed, but can be rest assured they are done correctly. Our staff is happy to help answer any questions or concerns and can be reached at (608) 234-5600 or info@playnwisconsin.com.